If you want to see an appraiser’s face light up, tell them some real estate news they haven’t heard yet. Appraisers love to know what’s going on in the markets they serve. One of the ways we maintain market awareness is by diligently reading the news and sifting through this relentless firehouse of information to find what is relevant and useful. What follows is simply one appraiser’s thought process for doing so. Reading purposefully involves intentionally choosing what content you’re going to consume on a daily basis. Our time is our most valuable resource, so we should spend it wisely. Given the incredible amount of new content produced every day by such a wide variety of sources on so many different mediums, we could spend our entire day reading the news and barely make a dent. Trying to know everything about every little thing is an impossible task with diminishing returns if it gets in the way of you actually doing those things that only you can do. Give yourself permission to not have to know everything. Choose your daily reads. National news publications, like the Wall Street Journal or New York Times, offer macro-level perspective on economic and real estate trends, while your local publications will cover a major sale, rezoning, government projects or policy changes, and business expansion, relocation, downsizing, or closure. At the very least, scan the front page of the every section of the paper or the splash page of their website. If a major employer closing down in a rural area was front page news, the appraiser has no excuse for not knowing about it. Employ filters to determine what makes it on your reading list. My main filter is: Would someone in my field be expected to be aware of and stay up-to-date on any developments related to this topic? If so, I’m reading it. Alternatively, find yourself an existing filter. Every field has industry groups and thought leaders with a very active social media presence that regularly link to relevant articles. Find them, follow them, and let them sort through the noise for you. Personally, I like the daily Virginia Business email and their weekly CRE Intel email as well as Work It, Lynchburg’s daily recap of local business news. With our reading list narrowed down to a manageable level, the reader must understand the limitations of published news. 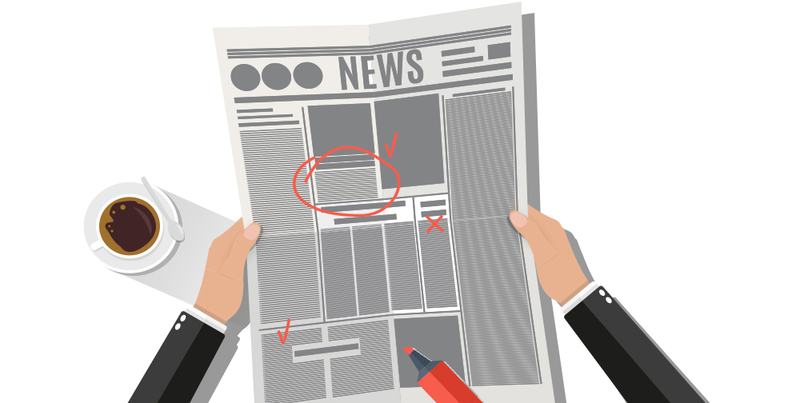 The vast majority of data an appraiser uses in their daily practice never even makes the news, so think of published news as a supplementary source for market intel. Similar to an appraiser, a journalist attempts to piece together the Who, What, When, Where, Why, and How of the story, but don’t expect a single article to provide a definitive explanation of everything that happened. Instead, view the news as simply a warm lead for a topic that deserves further research. Grab a pen. To get the most out of the content, we need to interact with it rather than just read it. Mark it up. Underline key sections or quotes. Question those things that don’t make sense or seem off-base. Write good follow-up questions in the margins. Identify the key players involved, what else you know about them, and how this news item fits in with what they typically do. Go ask them your good questions. Identify the Real Estate Events, which can tip you off to a possible comparable, or “comp” for short. Appraisers love all types of comps, not just sale comps, and collect them obsessively. A news story about a retailer relocating from one part of town to another could spur a variety of real estate events: A lease comp for their new space, a new vacancy and listing comp in their former space, and a change in retail occupancy rates for both sections of town. To find and confirm transaction details, I’ll need to go to the parties involved. If an appraiser reads an article about new commercial construction, they will immediately go looking for an underlying land sale, while also making a note to monitor the progress of the project for a possible construction cost comp, rent comp or space absorption comp. While the real estate events will become useful comps and data points for future analysis, the final step is to connect what you just learned with what you already know. How does this piece of news fit in with everything we know to this point? Is this new information telling us something about where the market is headed in the future? Are retail relocations from one part of the market to another a signal that the retail landscape is changing? Is a retail closure an isolated event due to a lousy location or bad management? Or is it indicative of a larger trend within that company? If they are closing stores in similar markets across the country, the problem could be contained within the company. If this retailer is healthy and growing in other markets, is there something about our market that didn’t allow the retailer to thrive here? Will other retailers in that category see that closure and reconsider entering our market? If a large, vacant tract is rezoned for mixed-use development, what will the impact be on adjacent land uses and the neighborhood as a whole? None of these questions have easy answers, but the process of asking “Why,” attempting to identify trends, and thinking deeply about the big picture gives you a slightly better chance of not being totally surprised by what you see happening in the market now and in the future.